This unit was formed as the 16th/5th Lancers in 1922 by amalgamating the 16th The Queen's Lancers and the 5th Royal Irish Lancers, both of which were in India at the time. The 5th Royal Irish Lancers had been dishonourably disbanded in 1799. On its re-formation in 1858, it was ranked 18th, instead of 5th, in the cavalry order of precedence. This explains the new regiment’s title being the 16th/5th rather than the 5th/16th Lancers. The new unit was posted back to Britain in 1926, before returning to India in 1937. It was still there on the outbreak of the Second World War (1939-45). Still a mounted regiment at the time, it sailed for England in January 1940 to mechanise. The regiment initially provided motorised machine-gun troops to defend Britain against possible German invasion in the autumn of 1940. Once that threat had gone, it switched to training on Valentine and Matilda tanks in November 1940. It deployed to Tunisia in November 1942, where it was re-equipped with Sherman tanks the following year. It then fought at Kasserine and in the final capture of Tunis in 1943. 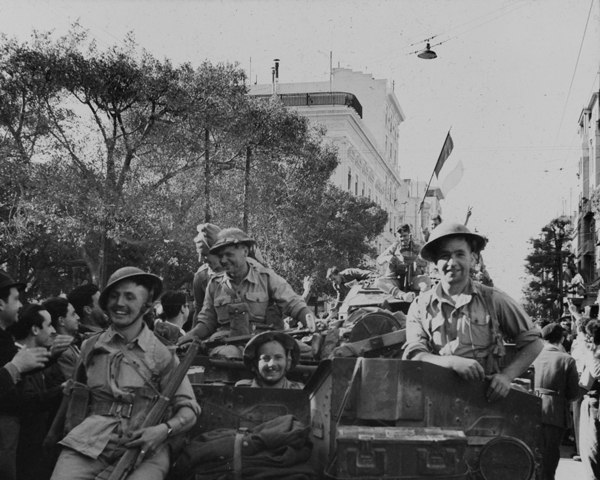 In January 1944, the regiment landed at Naples. The mountainous Italian terrain was ill-suited to armoured warfare and so its soldiers often ended up operating as infantry. By the time of the German surrender in Italy in May 1945, the 16th/5th Lancers had pushed the furthest west of any unit in the 8th Army, linking up with the Americans. It spent its first post-war months as occupation troops in Austria, dealing with refugees and reconstruction. In 1947, Princess (later Queen) Elizabeth became the regiment's colonel-in-chief. Then, in 1948, it was posted to Egypt for five years. 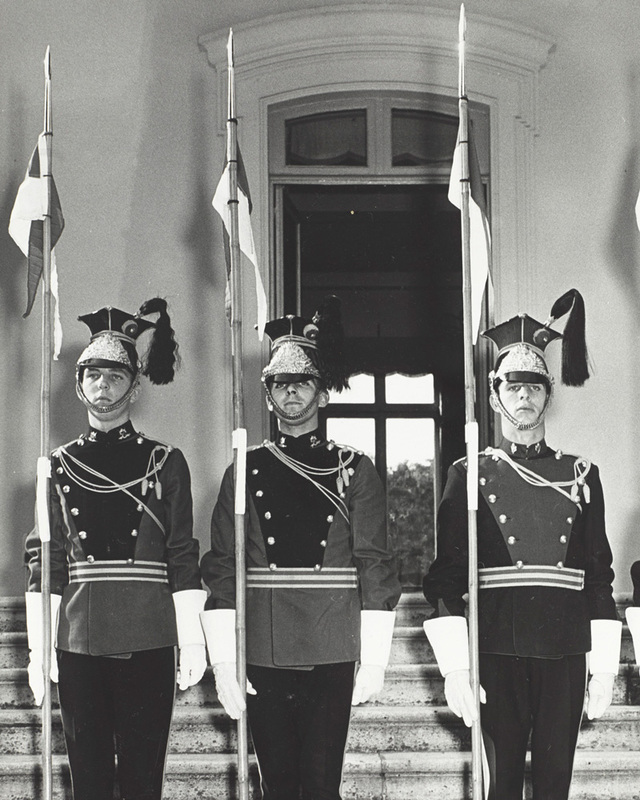 The regiment deployed to West Germany seven times between 1945 and 1993. 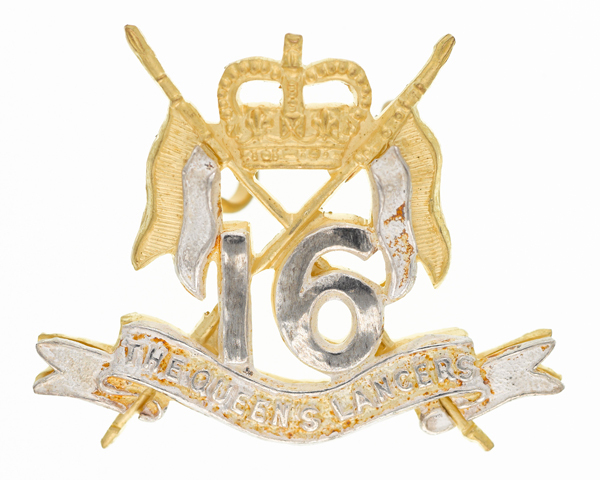 In 1954, it was renamed the 16th/5th The Queen’s Royal Lancers, taking ‘The Queen’s’ from the 16th Lancers and ‘Royal’ from the 5th Lancers. Individual squadrons were posted to Hong Kong and Aden in the 1960s, while the entire regiment spent two years in Northern Ireland from 1971. Squadrons of the 16th/5th also served with the United Nations peacekeeping missions in Cyprus (1973) and Beirut (1984). The regiment’s final major engagement as an independent unit was the Gulf War (1990-91), where it served as a reconnaissance unit with 4th Armoured Division. Three years later, it was amalgamated with the 17th/21st Lancers to form The Queen’s Royal Lancers. Explore the history and collections of the 16th/5th The Queen's Royal Lancers by visiting The Queen's Royal Lancers museum at Thoresby Park, Nottingham.